There are two things you should always do when you have the chance: pee; and sit down — you never know the next time you'll be able to again! 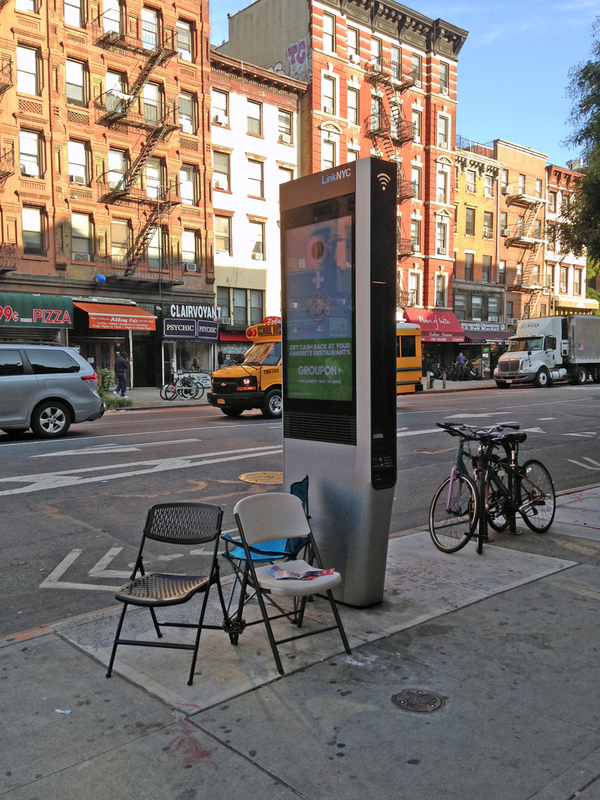 In 21st-century East Village, "charge your cell phone" has been been added to that list! All this corner needs now is an outhouse! that particular one also has the fourth 21st century EV obbligato - a bike rack.